A medical expert who specializes in treating the hair, skin, nails, and oral cavity is called a dermatologist. It is these specially trained doctors who help treat thousands of different types of skin diseases—rare and common conditions—for all age groups. The special skills dermatologists acquire to treat common conditions such as skin cancer and acne is only a part of what they do. They also perform cosmetic services such as facial fillers and chemical peels, to help modify or improve the appearance of a physical feature. 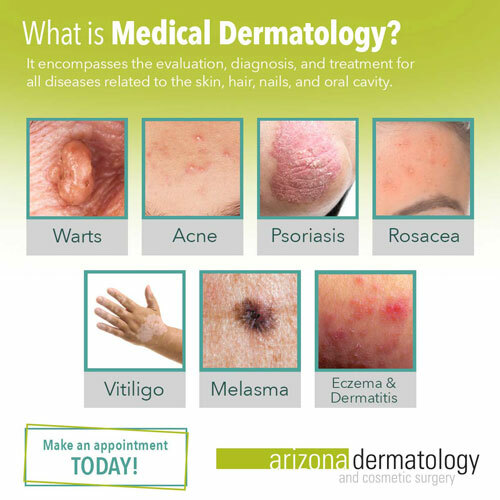 Now that you know what dermatologists do, let’s talk about medical dermatology as a practice. Medical dermatology involves the evaluation and diagnosis for diseases of the skin, hair, lips, and mouth to improve overall health. Medical dermatology treatments then work to control those disorders or diseases that are confined to the skin using a wide range of options. The skin will sometimes show dermatologists that something may be going on with the body internally, and it is through medical dermatology that they analyze the affected area and perform the best possible treatment for a patient’s personal condition. Not only does medical dermatology encompass a series of treatments to assist patients with any skin condition they may face, but it also helps to maintain the healthier look and feel to their skin. For instance, a laser skin resurfacing treatment can reduce the appearance of acne scarring significantly, but it may take a prescription medication to maintain your newly clear skin by keeping your skin free of mild or severe acne. Medical dermatology truly is a wonderful practice complete with an array of services that can have your skin restored and rejuvenated! Just think, your skin is something that people see and also serves an important role as our largest organ, so it’s important you take care of it—in and out of the sun. Although non-cancerous, these pesky growths of hardened skin can be a bother to adults and kids. They can appear practically anywhere on the body, but are most commonly seen on the hands and feet. We offer multiple treatments for wart removal, because different types of warts respond better to certain types of treatments. Visit our wart removal page for more information on this common condition. While some conditions are more serious than others, everyone suffers from acne at some stage of life. This skin condition occurs when hair follicles are plugged with dead skin cells and excess oil, developing large to small bumps and prolonged inflammation. From chemical peels to acne extraction, we have plenty of treatments that can help this common condition—whether it’s breakouts or scarring from previous acne. For more information and a detailed list of treatment options, visit our acne treatments page. Psoriasis encompasses a group of chronic skin disorders that occur anywhere on the body. This condition is more common than people typically think, affecting 7.5 million people in the United States alone. We offer a number of treatment options for this non-contagious skin condition, and can also identify which type of psoriasis you may be suffering from, increasing the chances of long-lasting relief. Find out more information about this chronic condition by visiting our psoriasis treatments page. Eczema appears on the surface of the skin as a dry and discolored rash. It can also give you the sensation to scratch, which can lead to swelling and infection. 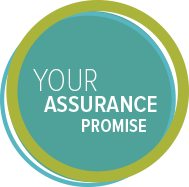 We wanted to have a solution for any form of eczema or dermatitis, so we have various treatment options to do so, no matter how severe your case may seem. Our eczema and dermatitis page will provide you with more information and the treatment options offered for this skin condition. If you have a habit of flushing or blushing easily, you could be suffering from the beginning stages of rosacea. As the condition progresses, it can lead to small acne-like bumps usually first seen in the center of the face. It is important you treat rosacea as it can slowly spread to the outer parts of the face—such as the cheeks, forehead, and chin. We offer a number of treatments to help you overcome the redness and acne-like breakouts caused by rosacea, to cure and maintain a less flushed face. Learn how this serious skin condition develops and the various treatment options we offer by visiting our rosacea treatments page. Vitiligo is the loss of melanin pigment, causing noticeably lighter patches of skin. This occurs when your immune system destroys your melanocytes making it no longer possible to produce melanin (which is what defines the color of the skin.) Although it’s not yet curable, we have medically managed vitiligo with a variety of treatment options such as phototherapy and the XTRAC Excimer laser. Find out how we have helped make discoloration less noticeable by visiting the vitiligo treatments page. Melasma causes brown patches on the face including the cheeks, forehead, upper lip, and chin. The causes of melasma range anywhere from sun exposure or birth control, to heredity factors. The best way to prevent this skin condition is through the use of sunscreen, but if contracted we offer prescription medication and chemical peels to our patients as an effective solution. If you want to learn more about this skin condition, feel free to visit the melasma treatments page. There can be a huge difference in seeing a dermatologist rather than your ordinary doctor when it comes to your skin concerns. From making a faster diagnosis to selecting the proper treatment option for you, a skin specialist will educate and explain what is happening every step of the way. Make sure you are seeing a dermatologist at least once a year, and more frequently if you experience skin issues in between visits. Your yearly appointment may include a skin cancer screening and/or is an opportunity to discuss any suspicious areas on your skin you may be concerned about. Don’t wait for something to go wrong with your skin to start taking care of it. Practice healthy skin care habits, such as applying sunscreen daily and avoiding extended hours in the sun, to keep your skin looking and feeling younger longer. Contact us for more information on medical dermatology or to make an appointment with one of our board-certified physicians.